The island is taking a battering today with rough seas, cancelled ferries, snow grinding most of the island’s roads to a halt and power cuts. Luckily for us in Laxey at sea level, we don’t have any snow that’s sticking yet or any power cuts like other parts of the island but disruption does mean a postponed celebration party with friends for tonight. Hopefully, things will calm down before my daughter returns to the island from university on the mainland on Monday or the ferry will be either cancelled or a very unpleasant crossing. 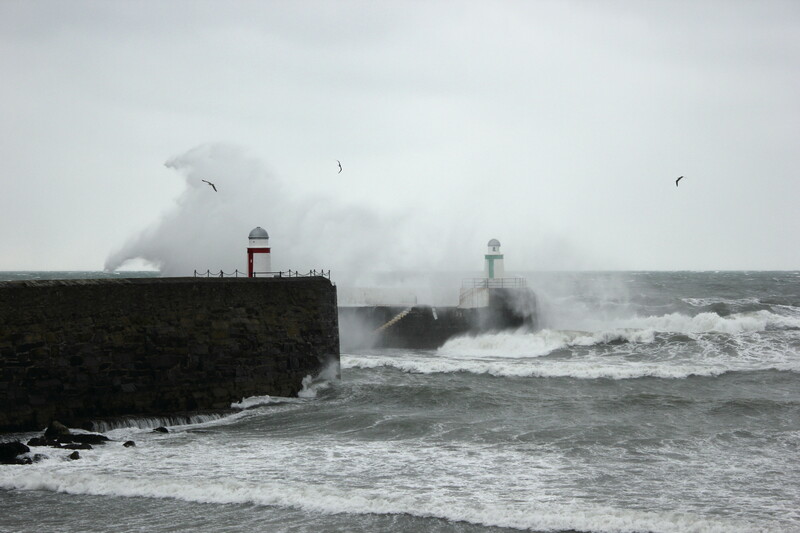 This entry was posted in Landscape and tagged Isle of Man, Landscape, Laxey, Nature, Photography, Travel on March 23, 2013 by jackie prince. Thank you. It wasn’t easy keeping my camera free from sea spray! Hope all goes well! Great photos! I love that splash if color in the midst of it all. Thank you. Seems much calmer now! It’s horrendous weather isn’t it. When I tried to go out of my back door before work, it was iced shut! When I managed to yank it open, it had been held shut by a frozen snowdrift which had formed against it. The front door was the same! 😦 I hate winter! 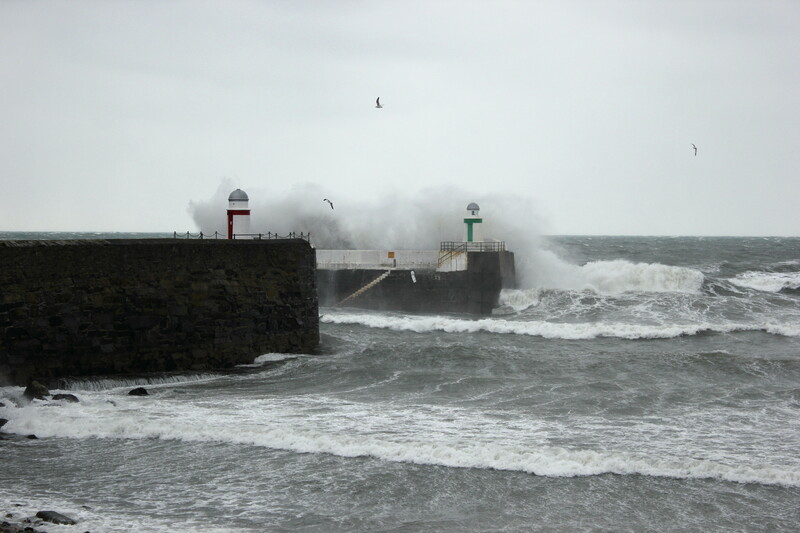 The ‘new’ IOM ferries aren’t very good anyway – we crossed last time in a bit of a wind and they had to shut the bar and cafes as there was smashing crockery and glasses crashing everywhere. It was only a little bit rough – nothing like we used to get crossing to the Outer Hebrides and they never shut the cafes. I actually prefer a rough crossing as it’s less boring – not so boring crossing to the IOM as it’s a short time but some of the trips from Oban to South Uist were 8 hours or more. Thank you. Yes, luckily my daughter got back safely with no delays on a reasonably comfortable crossing. The sea appears to be flat calm today so hopefully her trip back to the UK today is just as smooth. That’s great – does that mean spring is coming, at last? One of your snowy shots had a little robin – do they migrate away for winter? When I landed at the airport yesterday, I could see lots of snow in the south and west of the island and it’s still very cold so I’m not yet convinced that spring has finally arrived. The robins are with us all year round. I like them for their markings and their musical voice. … and sweet chubbiness! Sorry to hear the cold’s still lingering. Love these images as I look at them again! I really like the first two shots-action, mood, maybe even a bit of tension as it is clear the waters are very unfriendly right now-very nice work! Thank you. 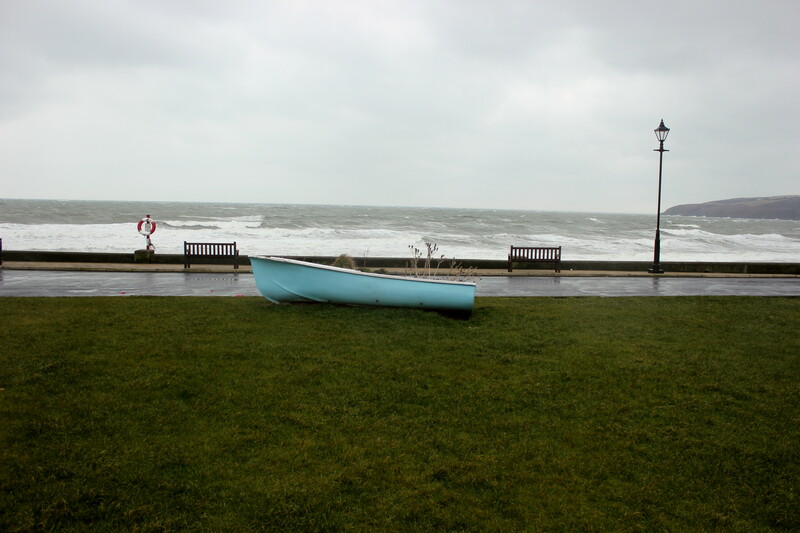 The weather on the sea and on land was very unpleasant that day. Luckily, it’s improved now but not as warm as I think it should be in April.